Computer center, there is ultra modern centrally air-conditioned computer center. The center has 2 Lab. The centre has high speed Xeon Servers with 150 HP Core2Duo PCs with TFT Monitor under LAN and Novell Network, Window 2008 Server, Windows operating system software like Windows 7 & Windows XP. 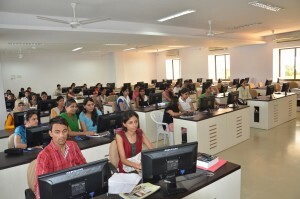 In addition an Internet access through Lease line (2 Mbps) is provided on every PC’s which is available for the students. The centre has all Licensed Software like, ORACLE 10g, SQL Server STD 2008 Server, Adobe PageMaker, Code Gear TC++, and Adobe Dreamweaver CS4, Mat lab, Crystal Report, Code Gear JAVA, MS-Office 2007, Adobe Flash Pro CS4, Coral DrawX4 Academic, Adobe Illustrator CS4 Academic, and Adobe Photoshop Extended CS4 Academic.